Universities are doing a lot of interesting work in the area of robotics, and Massachusetts Institute of Technology and Stanford are two of the most active in the field. Both universities showed similar robots this week, MIT’s being a bottle-shaped device which checks pipes and Stanford’s one a machine which is said to grow like a vine. According to DigitalTrends.com, MIT’s PipeGuard team recently won $10,000 in the university’s competition and swims through pipes to detect any problems. The YouTube video for the device (above) describes as a “leak detection robot for city water distribution systems”. Stanford, which also made a video (below) of its strange plant- or worm-like organic robot, if it can be called that, said its invention “could be useful in search and rescue and medical applications”. Commercial customers for the robots are probably already lined up and perhaps the two teams could spin out into startup companies. One of the challenges in robotics development is the fact that the computer processing required is just massive, often too much for a complex machine to handle onboard without packing very large pieces of hardware. One way around it has been to connect the robots up to cloud computing systems which run such things as neural networks and can remotely process data – but this is inefficient and slow. lockA while ago, Robotics and Automation News interviewed Alex Boch about 360 cameras, and he said he would be developing a new product soon which would incorporate virtual reality. Now, having helped build the ALLie Camera, Boch – who is VP of operations there – is back in touch to talk about the device which he says gives users a better view of events than if they were actually there. In 2014 a charter school in Arizona took a big step towards bettering the security of their campuses: they implemented a video intercom system to help monitor entryways. While there have never been any significant threats to AmeriSchool’s campuses, administrators elected to heighten security measures after the horrific events unfolded at Sandy Hook Elementary School in 2012. Mitsubishi currently has 70,000 industrial robots installed worldwide, Robotics and Automation News has learned. As a result, the company is now included in the Robotics and Automation News list of the world’s top industrial robot manufacturers. Stuart Russell (UC Berkely) argues for a fundamental reorientation of the field artificial intelligence. 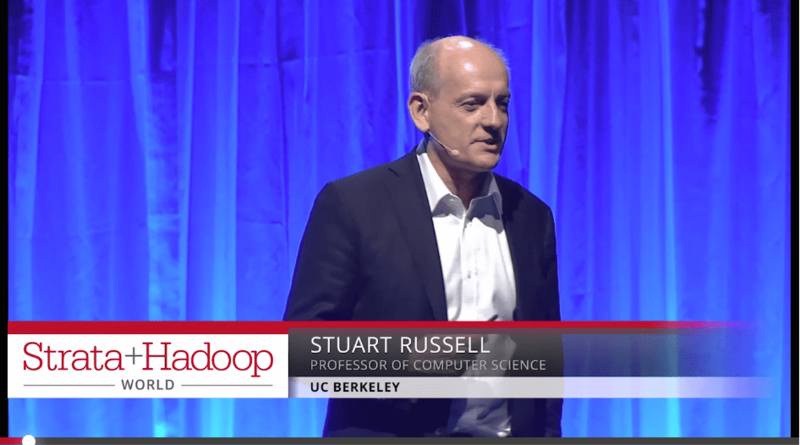 This is a keynote presentation from Strata + Hadoop World in London 2016. Yaskawa, one of the world’s largest robot manufacturers with around 400,000 industrial robots installed worldwide, has introduced a free video training course. Yaskawa adds that the training course includes opportunities for students to connect to a real Yaskawa automation product demonstration unit. The demonstration unit is based in the US, and connection is through the internet.